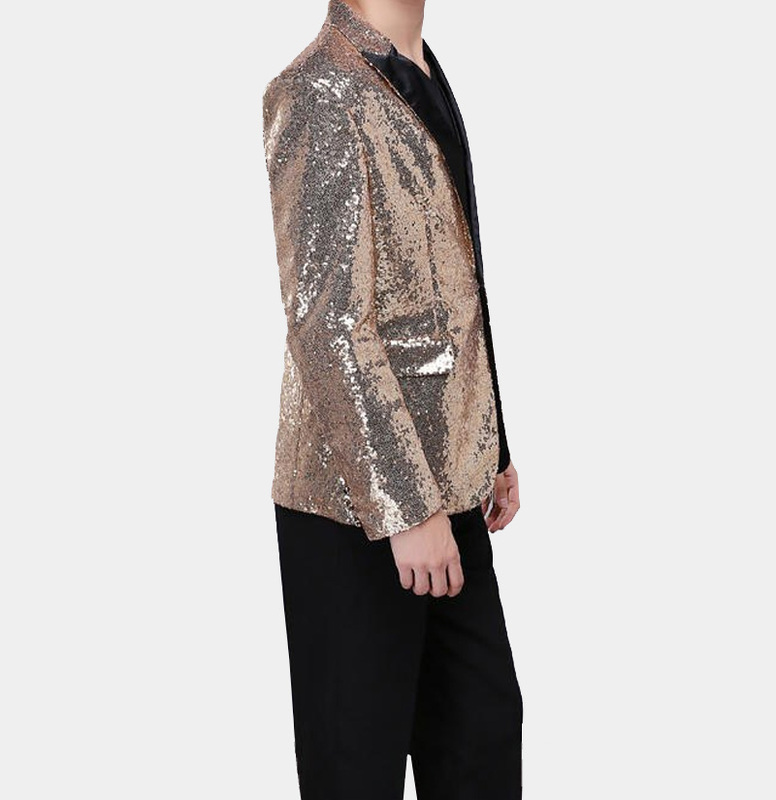 This gold sequin tuxedo blazer is a slim fit designed garment. We strongly advise that you check your measurements with the size chart before placing your order. Making a dazzling entrance at your next special occasion is easy with this gentleman’s gold sequins tuxedo jacket. You will be the envy of everyone dressed in basic black attire. Heads will be turning as you walk by in this gorgeous men’s gold sequins tuxedo jacket. The sparkling gold sequins and top-notch materials used to craft this exceptional jacket make it worth every penny. You can look like a million bucks without having to spend it. This sparkly tuxedo jacket has a slim fit design with single button closure. It is lightweight, fully lined for your comfort and has a contrasting black lapel. This men’s sequins tuxedo jacket pairs equally well with dress slacks as it does with jeans for a more a casual look. Take your wardrobe to a higher level with this alluring men’s gold sequins tuxedo jacket.